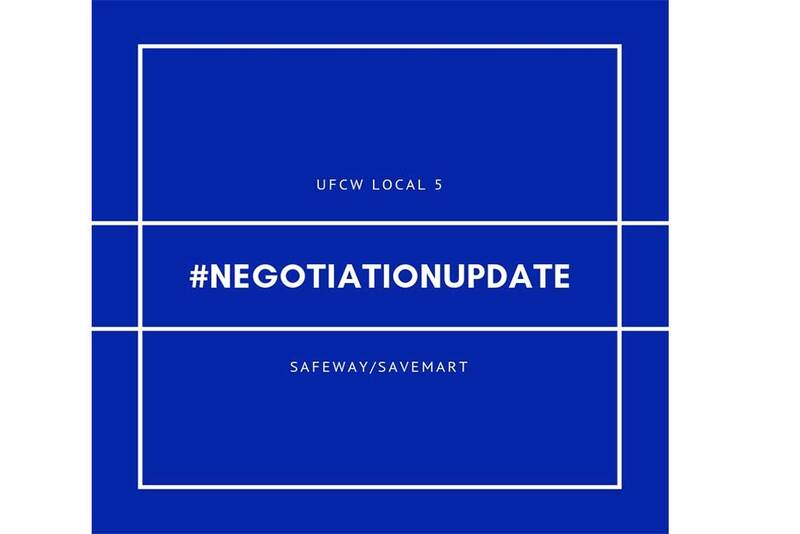 After initial bargaining meetings with Safeway and Save Mart in early December, Local 5 negotiators look to pick up the pace and have scheduled a series of four meetings with Save Mart beginning on January 23. Dates with Safeway have yet to be confirmed. The first sessions were focused on general discussion and an outline of union priorities including wage increases and the protection of health and pension plans. Specific proposals will be discussed at the upcoming Save Mart negotiations and in future meetings with Safeway. While each company is meeting separately with Locals 8 and 648 the unions are coordinating on health care and pension issues. Existing contracts with both companies have been extended and all wages, benefits and working conditions remain in effect. Check the website often for further updates.